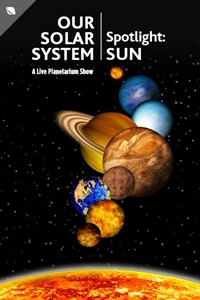 The next instalment of the Our Solar System series brings you a spotlight on the sun. Enjoy an immersive experience written and developed in-house by theatrical astronomy enthusiasts at TELUS Spark. Get a close look at the sun and soar through the universe - all while enjoying a Dome Theatre experience. Best for ages 8 and up.